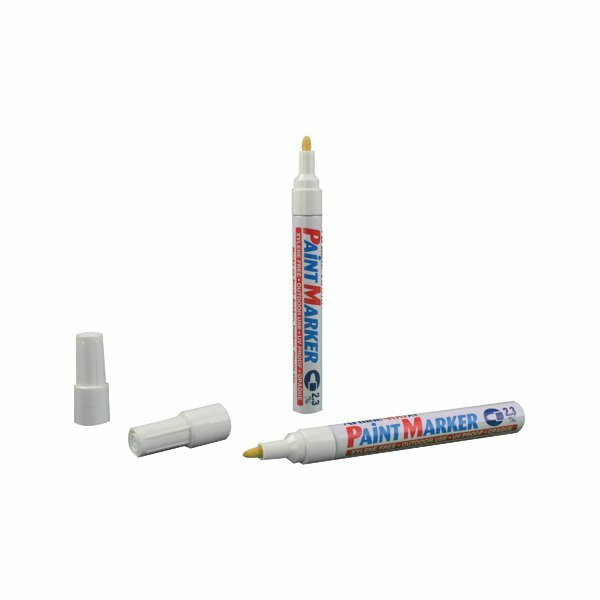 This Artline 440 paint marker is ideal for for both indoor and outdoor use, where permanent, indelible marking is requred. The vibrant ink is quick drying, water and fade resistant for long lasting use. The medium bullet tip writes a 2.3mm line width. 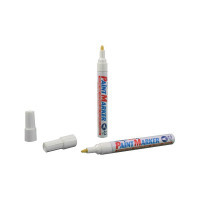 Ideal for creating eye-catching displays on dark surfaces, this pack contains 12 markers with white ink.